Are you looking for a winter hike or snowshoe close to Denver or Boulder? 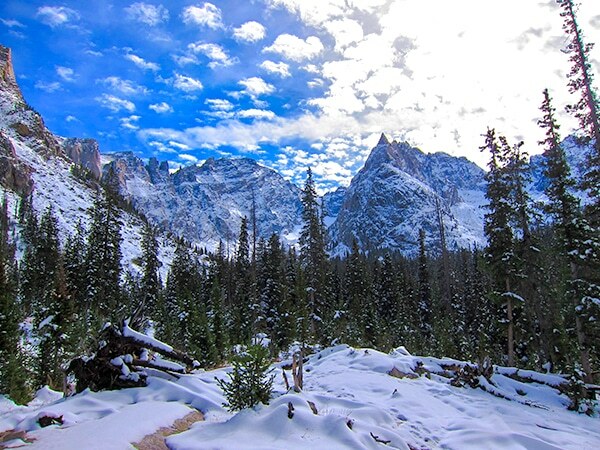 Then you should consider Indian Peaks Wilderness Area for your next winter hike. 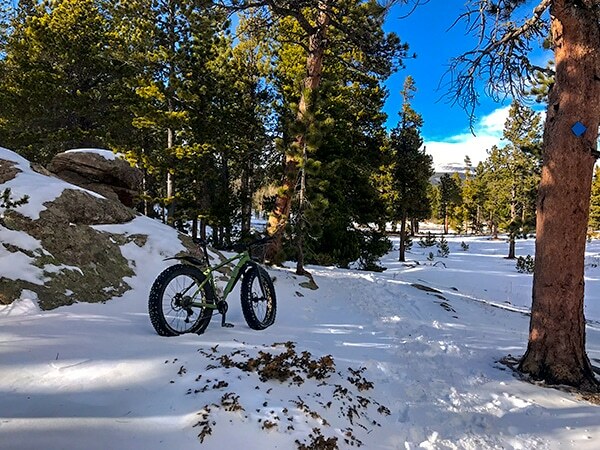 Indian Peaks is a popular year-round outdoor recreation destination, and going there in winter usually means less traffic and more spectacular views. Indian Peaks straddles the Continental Divide, with some of the most spectacular mountain peaks in the Rocky Mountains. With stunning, frozen alpine lakes and jagged peaks, Indian Peaks is a stunning daytrip in winter from Boulder. 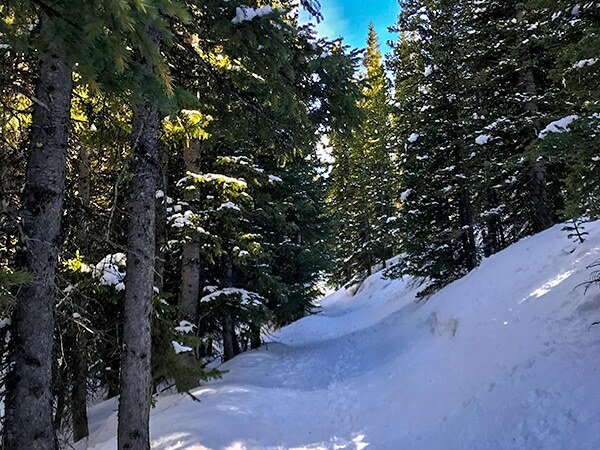 Our list of the best snowshoe trails in Indian Peaks Wilderness includes easy snowshoe trips for the whole family or beginners to some of the beautiful lakes as well as challenging snowshoe trails into the higher elevations for the magnificent views. Many of these trips can be done as winter hikes when there hasn’t been recent snowfall. Here are the best snowshoe trails in Indian Peaks and the best winter hiking near Denver. You can hike or snowshoe to Brainard Lake through dense forest. When you arrive at the lake you will see towering peaks that are the Continental Divide and Indian Peaks. 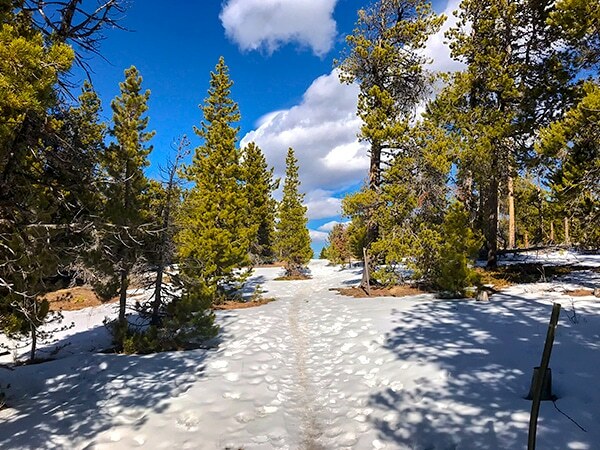 The Brainard Lake trail is on-leash, dog-friendly. 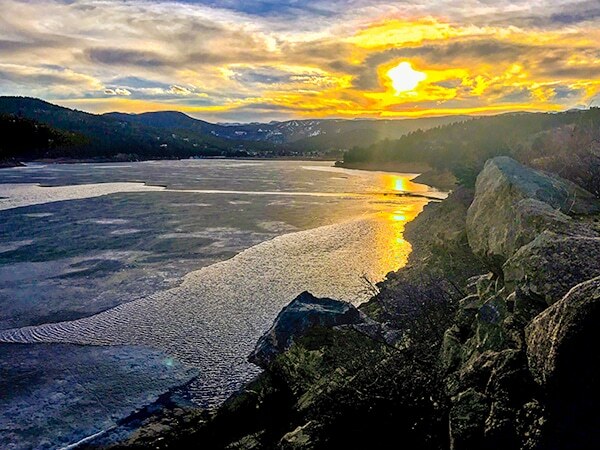 This is one of the best hikes in winter near Boulder. 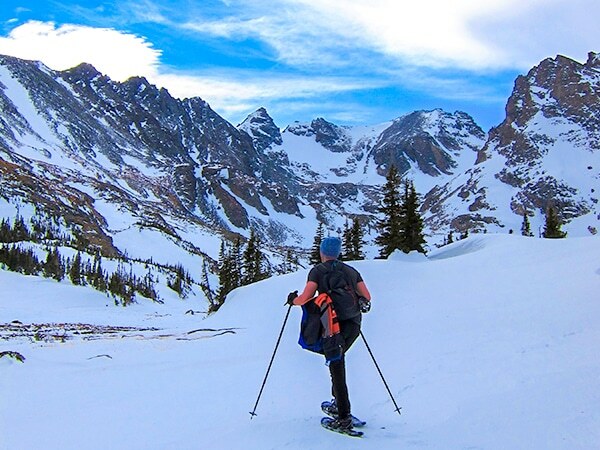 The Lake Isabelle Trail is one of the best snowshoe trails in Indian Peaks. You arrive at the sparkling alpine lake and also see the Isabelle Glacier. This is a little-known trail and you may be alone for much of the way. Of course, that doesn’t include the abundant wildlife in the area. This is one of the challenging winter hikes in Indian Peaks. After passing the beautiful Cascade Falls, you reach Mirror Lake at the base of Lone Eagle Peak. The name is apt because the reflection of Lone Eagle Peak in the lake is considered one of the best sights in the Rockies. For advanced hikers, this is one of the best winter hikes near Denver. Beginning at the historic old mining town of Hessie Townsite, you can hike or snowshoe to Lost Lake or King Lake. This is one of the best snowshoe trails in Indian Peaks for beginners. It’s a relatively short trail without much climbing, but still gives the spectacular scenery you expect to see in the Rockies. Another of the best snowshoe trails in Indian Peaks, Lost Lake is a great day out. The mountain views are great, the lake is clear and shining and you may even learn about life in the mountains of the early miners in the region. 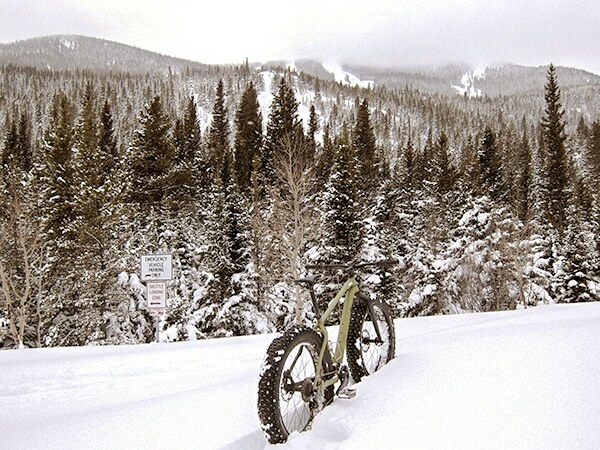 With well-packed snow, it is one of the best snowshoe trails in Indian Peaks. If you are new to winter hiking or snowshoeing, Caribou Hill is a great place to start. It has all the Rocky Mountain scenery you want with not too much elevation. It is one of the winter hikes in Indian Peaks for beginner and advanced hikers, snowshoers and XC skiing. Take the family for a stroll in the forest on Dot Trail. 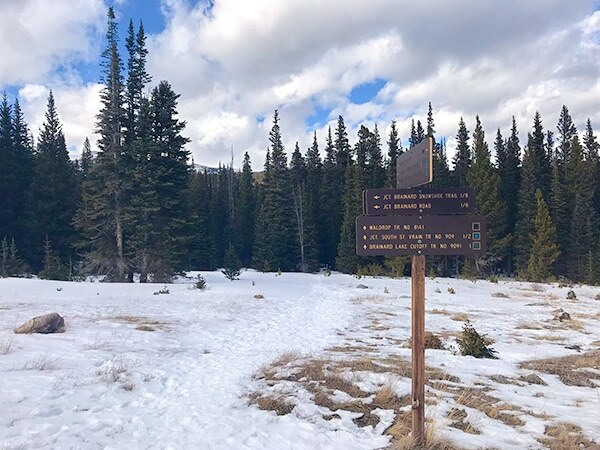 It is one of the winter hikes in Indian Peaks for children with a short trail that leads to a scenic overlook of Indian Peaks. The trail is not crowded with serious trekkers, so you’ll have it almost to yourself. Another of the best snowshoe trails in Indian Peaks for beginners is the trail to Mud Lake. It is an easy afternoon hike, and you can pick your trail as there are several in the area that go to the lake. Mud Lake Park is located off the Peak to Peak Hwy and the hike is through the forest to the lake and some beautiful scenery once you arrive at the lake. One of the shortest winter hikes in Indian Peaks is to Barker Reservoir. It is at the end of Boulder Canyon and near Nederland, a charming mountain town. The scenery includes mountains and meadows. 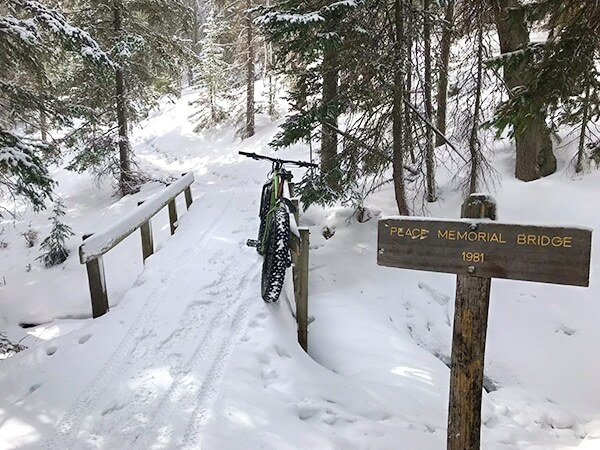 If you are looking for one of the best snowshoe trails in Indian Peaks, the Sourdough Trail is a good choice. 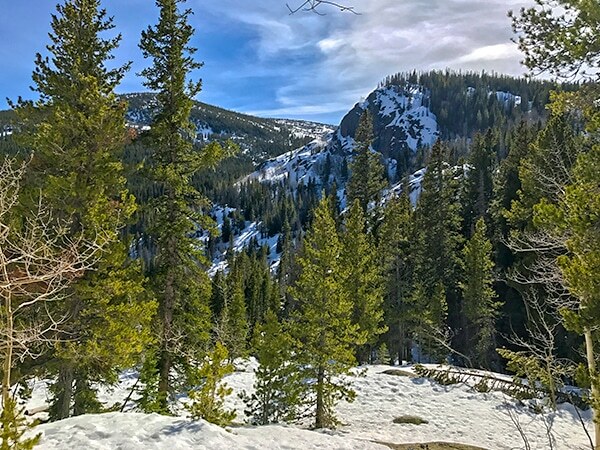 You hike through Roosevelt National Forest with a gradual ascent. It may be a bit too rigorous for beginners.